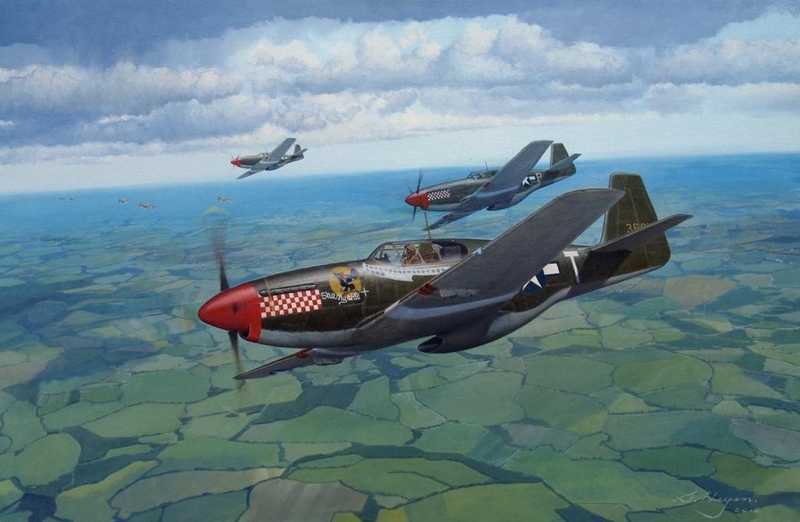 Returning to aviation art after a period as a successful landscape artist, Steve now finds himself working in a field into which he first ventured as a teenager. At 16, he completed his "first significant oil painting..a P-38 shooting down a Rufe." 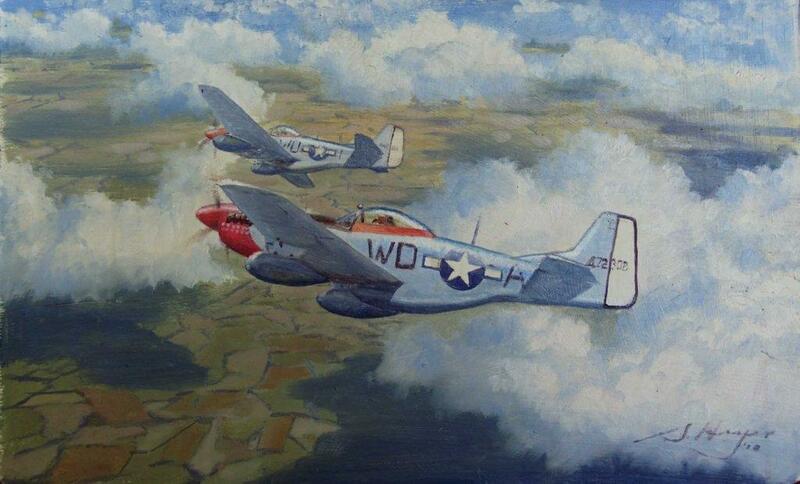 Since then Steve has painted aircraft from all eras, though World War II seems to be his favorite. 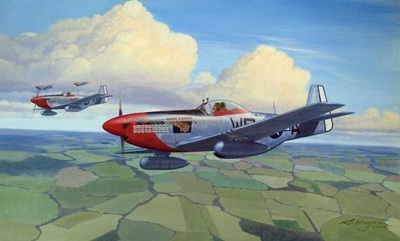 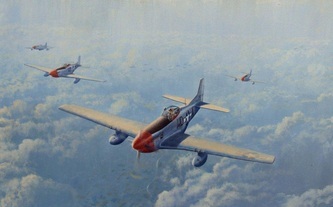 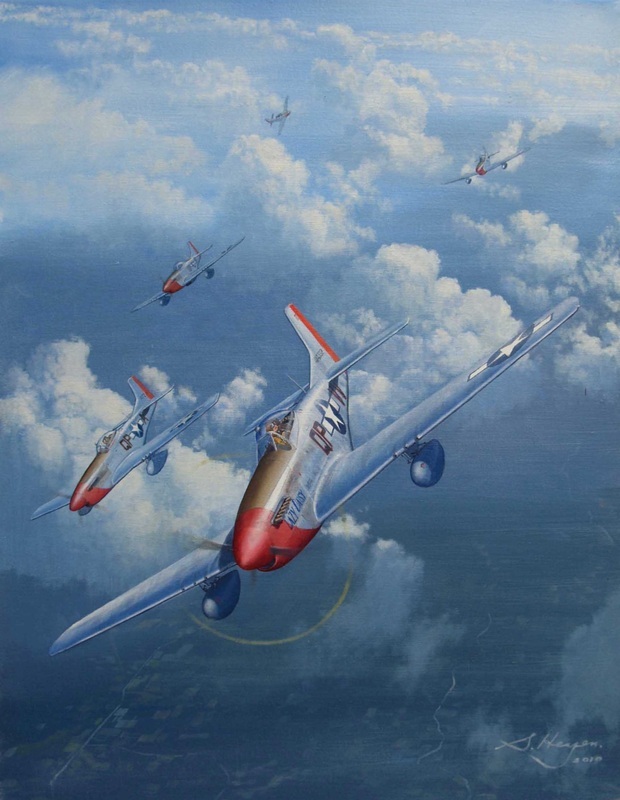 Included in his WWII portfolio are several 4th Fighter Group paintings. While Steve does have prints available, his goal is to "enable collectors to purchase original art at a reasonable price." You can take a look at Steve's work on his website, http://www.stevenheyenart.com. 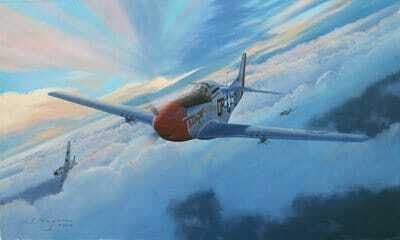 To contact Steve, call him at +61 2 8969 6306 or send him an e-mail at information@stevenheyenart.com.